Teenager Kara Zor-El was rocketed to Earth from the dying planet Krypton. Faced with a world completely different from the one she grew up in, she’s the ultimate new girl, struggling to find her identity…and a purpose for her awesome right hook. The Girl of Steel possesses all of her cousin Superman’s powers, including strength, speed and flight, plus one that will make all the difference in the world: empathy. 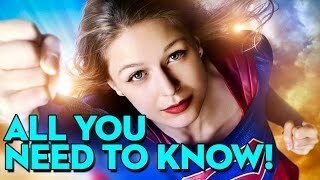 Seasons One through Three follow Supergirl’s exciting path from her days working at CatCo Worldwide Media to her side hustle at the Department of Extranormal Operations, where she helps her sister, Alex, and Hank Henshaw/Martian Manhunter protect their beloved National City from alien and metahuman threats.